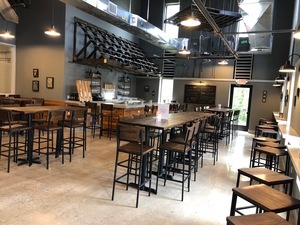 After 6 years of brewing, Charter Oak Brewing Company recently opened its doors to the public on June 28, 2018 with a brand new taproom & brewery in Danbury, CT. 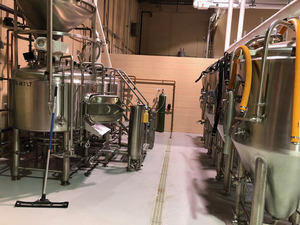 The state-of-the-art equipment allows Charter Oak to brew fresh, small-batch beers that boasts big taste. The public has been delighted by the artfully crafted taproom with its 10 rotating draft lines, games, tours of the operation and visits from various food trucks. 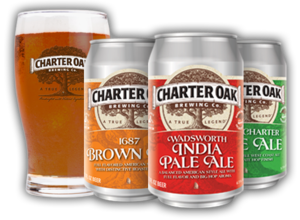 Charter Oak currently offers four year-round flagship brands -- India Pale Ale (IPA), Pale Ale, Brown Ale & Extra Special Bitter (ESP), as well as four more complex and robust seasonal brews --one for each season of the year. The brewery also constantly introduces a variety of limited, special series for the taproom and often made available in cans and in draft for local stores and restaurants. All of these hand-crafted beers use the freshest barley, choice hops and purest water. Announcing Charter Oak’s transition from bottles to cans to better preserve the beer - cans are now available in the taproom & stores all over Connecticut! And much, much more to come, including Ales & Artisans events to showcase local artwork, Home Brew Competitions, Yoga sessions, BBQ & Beer events, Local Charity events, and the list goes on! Rolling out new merchandise to the Charter Oak store all the time! Visitors have a lot of options from t-shirts, tank tops and hats to koozies and even baby onesies. Offering the space for private parties - on evenings that the taproom is not open to public, you can rent the entire space out. The goal of the taproom is to bring people together to enjoy great beer. “We don’t have loud music, dancing and pool tables,” Vallely says. “This is a place to grab a beer and talk with your buddies. Charter Oak Brewing company was started in 2011 by P. Scott Vallely, an entrepreneur that had operated several businesses for over 30 years, decided to sell his paper company and focus on creating and growing a micro-craft brewery around the Southwestern Connecticut area. The Charter Oak brewery introduced its first style on June 18th, 2012. Michael Granoth has since joined the Charter Oak team as a brewer. Michael comes to Charter Oak after working with New England Brewing and completing his studies at the American Brewer's Guild. 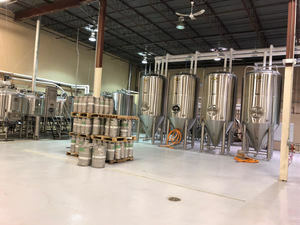 Charter Oak Brewing Company LLC (COBC) is a craft beer brewery which is the newest Connecticut based brewery that features hand-crafted innovative beers such as easy drinking Pale Ales, hop forward IPAs (India Pale Ales), flavorful Brown Ales and the brewery also markets limited release seasonal as well as more robust beers offered at our taproom only. We offer you Connecticut's best handcrafted and freshest beers. Charter Oak brews each style of our craft beers in small batches and does this on a frequent basis. We are constantly introducing new styles to join our expanding family of beers, including our 1687 Brown Ale, Wadsworth India Pale Ale, and Royal Charter Pale Ale. The brewery's beers are marketed throughout Connecticut and in Massachusetts. 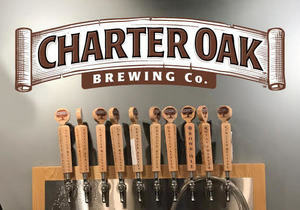 The Charter Oak Brewing Company recently opened their Taproom in historic Danbury, Connecticut with 10 rotating draft lines. The beers are constantly changing and there's always a style on draft that will please YOU! Come visit our 10,000 square foot state of the art operation, grab a pint, try a flight or fill a growler. We also offer very informative tours.